Hi Wendy! Can you tell us a little about your latest book? 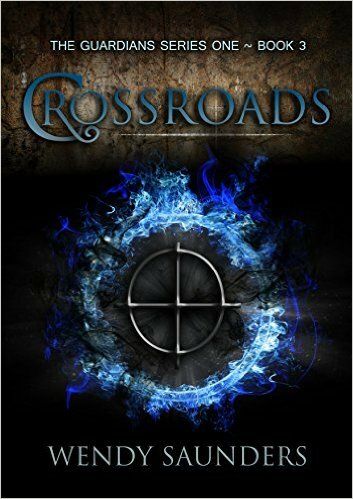 My latest book is called Crossroads, it’s the third book of the Mercy series I can’t really say too much without giving away the plot. My inspiration for the whole Mercy series came from my love of magic, witchcraft and mythology. I’ve found that by setting my stories in the Supernatural genre it gives you such a lot of different ideas to play with. I knew I wasn’t going to be any good at designing a cover and I didn’t really have a clue what I wanted, so I used 99designs.com and that’s how I met my designer Tim, he owns and runs Novel Design Studio. I gave him the basic premise of the story and some of the character’s backgrounds and the second I saw his design I knew it was perfect and that it would work as a continuing theme for the rest of the books in the series. I now go to him for all my design work. I guess I see it as more of a TV series than a movie, a bit like True Blood, but if I had to choose some of the main characters I would have Genevieve Padalecki as Olivia and her husband Jared as Theo, Julie Walters would be Fiona, Jake would be played by Theo James and Ash would be Ian Somerhalder. Pretty much the whole story is set in and around a fictional town I created called Mercy which is located close to Salem in Massachusetts. I chose to set it there because I have always loved the East Coast and particularly the New England/Massachusetts area. There’s so much history and magic associated with this area as it is where the original 13 colonies where. I’ve always loved magic; it’s like having a whole smorgasbord of treats to dip into. It gives you such a lot of scope to let your imagination run wild and lots of fresh ideas, especially if you are working on a long running series. I’ve always lived inside my head, even as a child I was always labelled a dreamer. It certainly sharpened my imagination and when I finally put pen to paper as a seventeen-year-old I realised I was a writer; it wasn’t so much a conscious choice I think so much as a realisation. It was one of those comfortable moments when you sit back and think, ah yes this was what I was meant to be doing. Of course I still had a long way to go to gain the life experience and skills necessary to write a decent story, some of my earlier stuff was just cringe worthy. Sometimes the names are just there in my head, sometimes I have to go looking for them. I keep a handy supply of baby name books on my bookshelf and the internet has been invaluable when I want to find more obscure names, such as Celtic or Ancient Greek names. So far the book names have come before I’ve written the books, but that may or may not change as I go along. Lots of different things, sometimes it can be as simple as a single name, or a place or an idea that inspires me. I draw a lot of inspiration from folk tales and mythology as well. For example, I love the Three Fates from Greek Mythology I’d love to write a story about them set in the present day. I have a huge notebook which I scribble down all the things that inspire me. My Nana’s room. My grandmother lived with me and my husband and children for eight years, I took care of her but when she passed away last year I made her room into my writer’s cave. It’s nice, it feels like she’s sitting in here with me most of the time. David Eddings and Nora Roberts. I never finish a whole cup of tea, I only ever drink half, drives my husband nuts. I have no idea, seriously…I’ve been pondering this question for a while and I’m still coming up with nothing. I guess I find it hard to picture anyone else being me, I’m just a regular person. There really isn’t anything interesting about where I live, it’s probably one of the most boring towns in the known world perhaps that’s why I love magic and writing so much, it’s a way to escape mundane reality. Oh I have lots of plans, apart from the Mercy series, I’ll be releasing a non-magical thriller later on this year called Tangled Web about a young woman who’s looking for her sister who disappeared the night her father died. I am also planning to release a standalone novel next year call The Cliff House, which deals with reincarnation, it’s a sticky love triangle that spans two lifetimes when everything ended in murder the first time around they have to make it right in the present day. I love the Little Mermaid, although the original version and not the Disney one is pretty harsh. I went through all the usual stuff, I remember wanting to be a nurse, then an astronaut, I even wanted to join the Navy at one point but I don’t have the discipline for it and I hate being told what to do. I’m lucky that I realised early on that I wanted to be a writer. Wendy Saunders is the author of The Guardian series, which includes Book 1 Mercy, Book 2 The Ferryman and Book 3 Crossroads with book 4, Witchfinder and Book 5 Infernum to be released later this year. For more information please visit Wendy's website and her Facebook page. 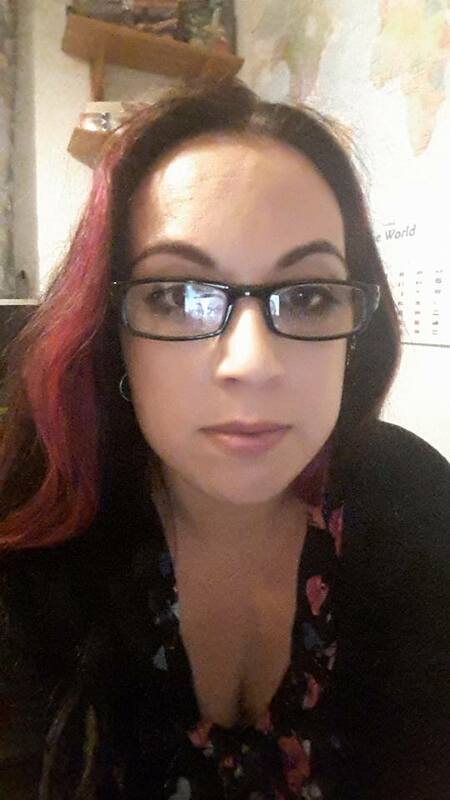 Wendy has a deep abiding love of all things supernatural as well as ancient history, folktales, urban myths and lore, but at heart she's a romantic, she does love an epic love story! She also loves writing stories with big plot twists and OMG! moments and has a deep seated love of long running series although she will be writing some stand alone novels as well. She lives in Hampshire, England with her husband and three children. Wendy is currently working on the continuation of the Guardians series but also she is also writing the first book of a new Trilogy called The Carter Legacy, the first book of which is Tangled Web and is a fast paced non magic thriller.